Bicycle and scooter theft is a huge problem in Beijing, as I found out first-hand last Monday. I’m usually pretty careful, but I got complacent and there are definitely things I can do better for next time. Learn from my experience and read the following tips for securing your bike. Always lock your bike to something stationary. When I first got to China, it boggled my mind that most bikes were only locked to themselves. I eventually adopted this bad habit for convenience’s sake, but I won’t make this mistake again. Use more than one lock. By extension, use more than one type of lock. If a thief can break one chain lock, they can certainly break the second chain lock. Don’t skimp on locks. Make sure their value is proportional to the value of the bike. 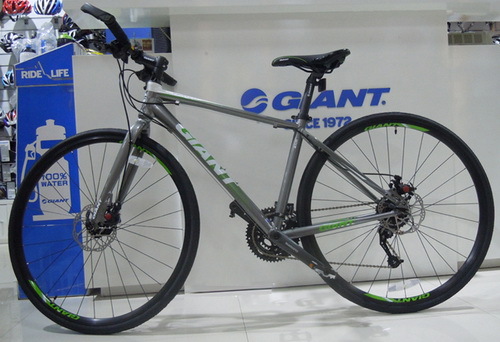 An avid cyclist friend swears by US-based Kryptonite, the pioneer of the U-lock (some products available on Taobao). Natooke, the fixed-gear bike store, also sells sturdy locks by German manufacturer ABUS (see their Taobao shop here). Learn how to lock your bike properly. There are plenty of online guides with pictures: Lifehacker, Bicycling, and Bicycle Habitat are just a few. Lock your bike somewhere with a lot of foot traffic. Though Sanlitun SOHO’s bike parking lot is used by a lot of people, it’s not particularly well-lit and there was one security guard patrolling the whole area. Security cameras aren’t likely to help. Whenever possible, put your expensive bike indoors. This may not possible in every office or apartment building, but it’s a no-brainer. Mark up your bike. Bike thieves try to shift stolen bikes as soon as possible; the more distinctive yours is, the harder that will be. Put packing tape around the frame, scratch your initials into it, put zebra stripes and tenacious Spongebob Squarepants stickers all over it – anything to really annoy and deter bike thieves. Stupid bike thieves. Spray-paint your bike. One of my pet peeves about Giant bikes is how loud and garish the designs can be. A few months ago, I encountered a fellow cyclist with a matte black bike while getting my bike serviced at a Giant store. He said that the store can actually spray-paint your bike black for free as long as you have a Giant bike. I wish I’d done this sooner. Take pictures of your bike. They should be clear, well-lit, shot from several angles, and include close-ups of distinguishing marks like bells, displaceable fenders, and any missing or damaged parts (e.g. mine was missing a tail light). Save these in your phone. Save your fapiao. This is China – don’t you know to save every bit of paper by now? In all seriousness, this expedites the process of filing a police report and makes it much easier time to prove the bike is yours if it ever is found. Live and learn. Don’t be discouraged from the joys of owning a nice bicycle; this could’ve happened to anyone. In the end, it’s just stuff. Take it as a lesson for what you can do better next time. Terrified at the prospect of filing a police report? Don’t be. Click here for my blog about my post-bike theft experience.